At Glassman Kia , we are the Southfield Michigan dealer that you can count on to steer you in the right direction for your car buying goals, and we also go the extra mile to ensure that you are completely satisfied with your vehicle for years to come. We understand that there are many factors that influence your level of customer satisfaction with your new vehicle. 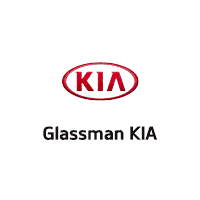 When you are looking for a new KIA and used dealership to help you with your car buying needs, look no further than Glassman Kia. If you don’t see what you are looking for, please fill out the online form, or call our dealership. We will let you know when vehicles arrive that match your search! Or if you would rather discuss your options with our friendly sales staff, click on contact us for interactive driving directions and other contact information. We look forward to serving you!